Argentina might have spent nine months with Lionel Messi to call upon but it's clear to see not much has changed. 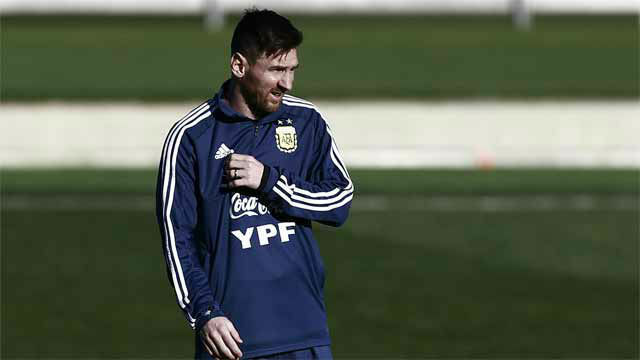 Since their elimination from the World Cup in Russia, Messi was given an extended break by the nineth coach to take charge of the national team during Leo's era. Yet even the youthful looking squad did a fantastic impression of the previous one which has continuously let the little magician down. Newcastle United striker Rondon got Venezuela off to the perfect start when he latched onto a wonderful pass from Rosales and matched that quality with his finish. A penny for Leo's thoughts when that happened. And it was Messi who they turned to on a constant basis. And whilst he's got the ability to dribble beyond three or four markers, the 'pass it to Messi' approach is entirely predictable and once again burdens the Barça man with having to do everything by himself. And this means dropping deeper and deeper to get hold of the ball. The one bright spark, Leo aside, was the performance of Lautaro Martínez in attack. He at least offered an option in the penalty area and deserves a chance to establish himself as the main striker in this new look squad. It's the lapses in defence which ultimately cost Argentina another goal on the brink of half-time. Murillo made it 2-0 and all those who filled the Wanda Metropolitano expecting to see a Messi masterclass were having to be content with a much slicker, more decisive Venezuela side who might be dark horses for the next World Cup and certainly in the Copa America. To the surprise of no one, Messi had a hand in Argentina's goal. He began the counterattack and found Lo Celso in space down the left. He played a beautiful ball inside to Lautaro and he got the goal his performance deserved. However Venezuela didn't deserve to see this game slip from their grasp and another error in defence allowed Josef Martinez to restore their two-goal cushion and make it 1-3. Nothing seems to change with Argentina. Maybe it's time for Messi to let someone else take charge of this project after the Copa America 2019. The needless racking up of minutes can only be harmful to Barça's chances as they approach the crucial part of the season.